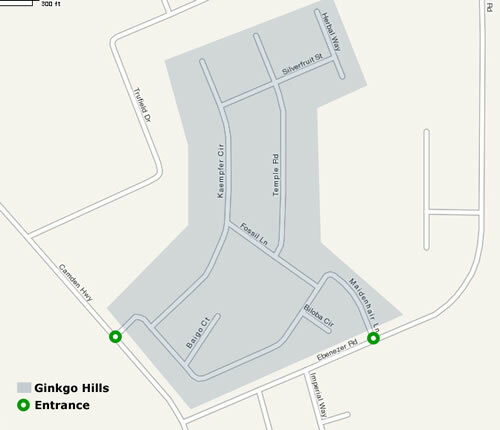 Ginkgo Hills is a subdivision off of Old Camden Highway, just 10 minutes (5.5 miles) from Shaw AFB. The neighborhood is fairly secluded. 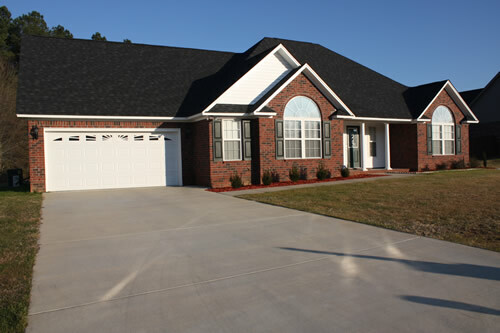 It is full of custom-built brick homes, from around 1,600 to 2,200 sq ft. Homes start at $150K. Most are less than 10 years old. Military really like this neighborhood due to it being very family-friendly. Every time I drive through this neighborhood I see parents and kids walking or playing on the streets. There are two entrances to the subdivision, but there is no through-traffic. 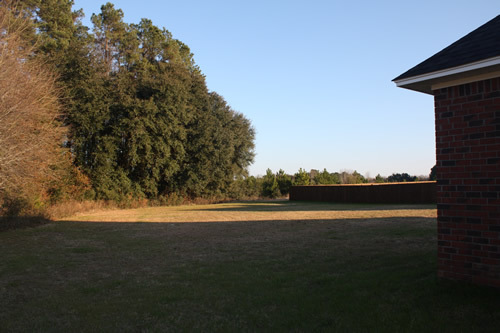 The yards are very large, with the average lot at .6 acres. The homes are built far back from the street and have long driveways. A majority of the homes in Ginkgo Hills have fenced-in back yards. About half the homes have back yards that back up against a tree line, such as the house below. One feature you will find in many South Carolina homes is a bonus room. This is a finished upstairs bedroom, normally placed above the garage in the attic space. A majority of the homes in Ginkgo Hills feature bonus rooms. Bonus rooms come in different configurations. It may include heat and A/C, or just heat. The A/C system is normally controlled separately from the main house A/C. It may have a bathroom, closet, or just be a big room. These rooms make great “in-law”, guest, or hobby rooms as they are very private and are separated from the downstairs living area. Of course, they can also become a catch-all storage area for your house if you’re not careful! Ginkgo Hills is about 8 minutes from Sumter restaurants and stores. Columbia is about 45 minutes away. You’re especially close to Village at Sandhill in Columbia, which is an outdoor shopping area with lots of great stores and restaurants. The following streets are located in Ginkgo Hills: Maidenhair Ln, Kaempfer Cir, Temple Rd, Silverfruit St, Fossil Ln, Baigo Ct, Biloba Cr, and Herbal Way. South Carolina has some of the best property tax rates in the country. Thus, you can expect to pay around $900 in annual property tax for an 1,800 sq ft home in Ginkgo Hills.